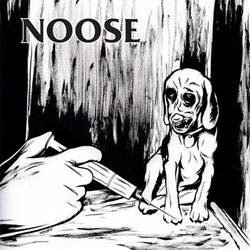 Trip Machine Laboratories - NOOSE - The War Of All Against All 7"
Chicago's Noose, standard-bearers of the vegan straight edge, have unleashed a new EP. Destined to upset parents and meat-eaters everywhere, "The War of All Against All" contains six songs best described as "nasty, brutish, and short". Inspired by the moral law, "The War of All Against All" is certain to satisfy anyone with a taste for justice.